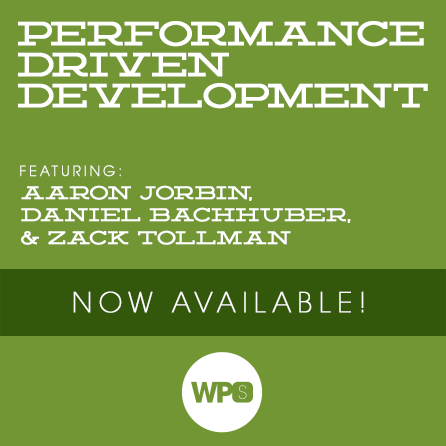 Join Aaron Jorbin, Daniel Bachhuber & Zack Tollman and learn how to dramatically improve your development prowess. These three experts will teach you how to write better code, improve site and network performance, and how to improve your development workflow, too. For this session, we are going to delve deep into code performance. We’ll look at the tools you should use (Xdebug, JSPerf, curl-loader, etc), and why/when they’re beneficial. We’ll talk about transients, object caching, page caching, and other caching patterns that are quite successful when paired with WordPress. Finally, we’ll dive into the intricacies of navigating between local and remote development. We’ll touch on WP-CLI, and other tools, systems and strategies for sanely taking your fine-tooled code into production. We’ll release more details about this session as they become available, so stay tuned! Daniel is currently Senior Engineer at Human Made, one of the United Kingdom’s leading agencies. Most previously Daniel was a Code Wranger for Automattic’s WordPress.com VIP. On days he’s feeling particularly ambitious, Daniel enjoys photographing, adventure travel, and conspiring on ways to make a better world. Residing in Portland, Oregon, Zack longs for the cold, snowy days of his Alaskan youth. He enjoys strumming his guitar, playing hockey, and spending time with his fiancée and dog. Otherwise, you’ll find him at his computer meticulously spinning lines of clean WordPress code as a developer at The Theme Foundry.